The Wharton Center for Performing Arts and the MSU Federal Credit Union Institute for Arts & Creativity at Wharton in East Lansing, Michigan on the campus of Michigan State University is casting actors for its world premiere production of The Garden Of Joy by Ken Lazebnik, a play with music about the Harlem Renaissance. The show is produced and directed by Bert Goldstein with musical direction by Alvin Waddles. The play is a review of the Harlem Renaissance utilizing the poetry, music, stories of the time period as performed by a group of actors during a live radio broadcast from a Harlem nightclub in 1929. The show will perform for both student and general audiences. We are seeking five Equity and non-Equity African American actors, three men and two women ages 20-mid-40s who act, sing and move well. AEA actors (approval pending ï¿½ Guest artist and PPLOA contracts) and non-AEA actors. All out of town actors will receive round trip transportation from their base city or can choose to drive and be reimbursed mileage. Housing will be private homes with actors guaranteed a private room, bath and cooking privileges. With the exception of Pace all actors play multiple roles. Harry Pace - the radio show MC. Age 30-mid 40s. Charismatic, outgoing, a great storyteller, passionate. A Harlem Renaissance Garrison Keillor. Wallace Thigpen ï¿½ 20s to 30s comic character actor and does most of the radio show sound effects - should sing and move well. 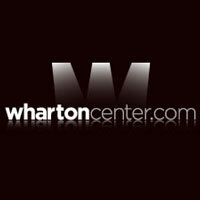 Opening: March 12, 2013 ï¿½ one week run at the Wharton Center ï¿½ 600 seat Pasant Theatre. Michigan tour: March 18-24, 2013 (housing and per diem will be covered). Show closes on March 24. For the initial auditions all actors should prepare 2 short contemporary monologues and 16-32 bars of a song (preferably jazz, blues or musical theatre). No accompanist provided. Actors are welcome to bring cd players or ipods. Total initial audition should not exceed 5 minutes.